Your email marketing success is our top priority. That’s why we’ve pulled out all the stops to ensure you achieve higher engagement and more revenue – offering you innovative predictive email technology, easy-to-use editors, actionable reporting, and in-house deliverability expertise. 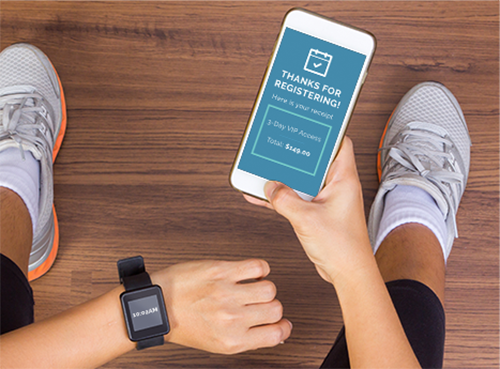 Learn how modern marketers are using Act-On at each stage of the lead-to-revenue process. Act-On’s drag-and-drop composer makes it easy to build and send messages – no HTML coding required, for responsive messages that look great on any device. Need design inspiration? 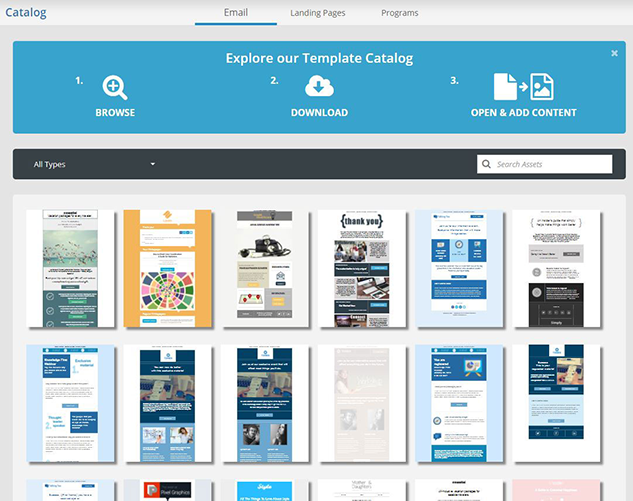 Download a ready-to-use email template from the catalog for quick and easy campaign creation! Not sure which subject line or call-to-action will resonate best? With Act-On's automated A/B testing tools, you can ensure the best possible results for your campaign. 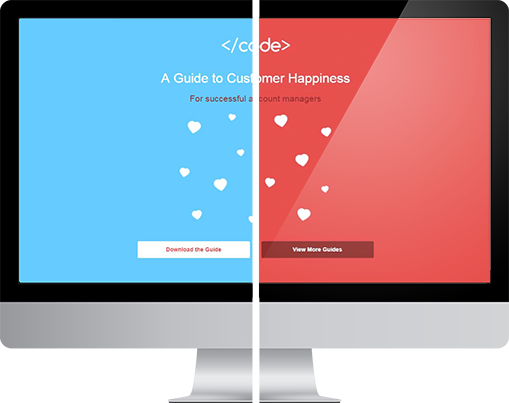 Measure the impact of your emails with detailed engagement metrics, and understand your audience with details on the device they’re using to open your messages. 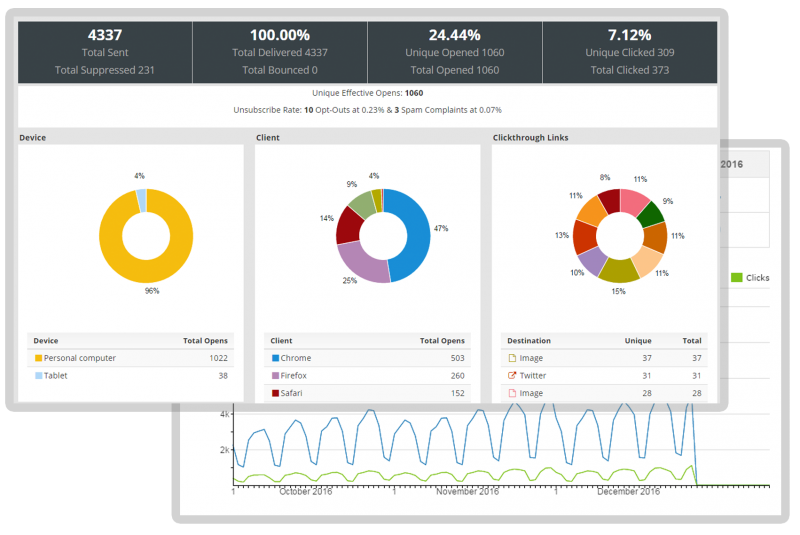 Deliver real-time operational and system communications to customers, regardless of opt-out, on a regular basis. With Transactional Sending, you can trigger your purchase confirmations, system notifications, quarterly reports, and more – all through one platform. Marketing in the EU? 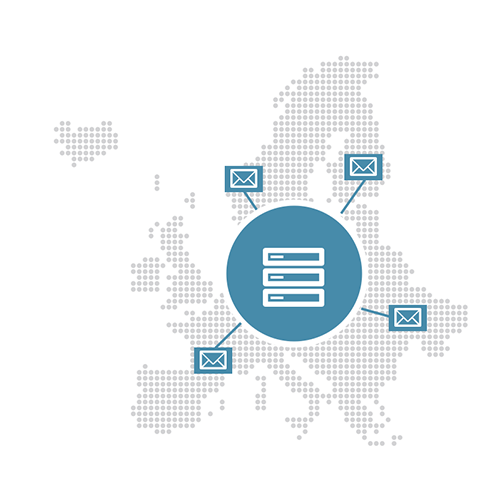 Local Sending will ensure your email messages are sent from EU mail servers – easy data compliance and deliverability! Worried about your deliverability and engagement levels? Act-On's enhanced delivery services can help you get the most out of your email strategy.